Having used the H5D-50c and a good number of lenses for a while now, I wanted to round off the post from a couple of days ago (which was my mid term assessment of the camera) with some more detailed comments on the lenses – especially since practical reviews of these things are not common, and I’ve been receiving a lot of email of late. This is understandable, since medium format glass is both a serious and not so liquid – at least compared to 35mm – investment and therefore not the kind of thing you want to make a mistake buying. For those who don’t know, Hasselblad H lenses are built by Fujinon in Japan. The good news is that what I’ve used is pretty much excellent across the board – there are some exceptions, but few. I’ve also added some rough numerical scores, relative to other lenses available at the time of writing. I’ve also updated the Camerapedia, too. Lenses I am currently using are in bold. Hasselblad HTS 1.5 (9/10) – The main trump card of the H system above all other medium format: it brings movements to pretty much every lens, but at the cost of a 1.5x crop factor. Would be nice to see it with a lesser crop, but in practice it’s almost impossible to see any degradation with the HTS in play – the 24, 28 and 50 still all out resolve even the H5D-50c. You will get the equivalent (in 35mm terms) of 28mm, 33mm and 60mm. A very precisely made piece of equipment, unfortunately with an eye-watering price to match. Hasselblad HC 1.7x Teleconverter (8.5/10) – I’ve only so far been able to use a very old loan teleconverter that appears to be decentered on one side; by all accounts it’s supposedly superb, as is this one in the centre, so I’m reserving judgement until my own one is delivered (it’s still back ordered at the time of writing). The reason this is interesting is because it turns the 2.2/100 into a 3.5/170, which even if stopped down a little is still a much lighter and more flexible combination than carrying a separate 3.2/150. The loan 1.7x turned out to be a lemon. My own unit is symmetric and performs well with both the 100 and 150mm lenses; use without reservation. There is of course some degradation – as with all teleconverters – but if you stop down a little, performance is soon back to expected levels. If I’m travelling light I’ll use the 100 and 1.7x, otherwise I’ll add the 150 to the mix too. Furthermore, it can be combined with the other lenses, the HTS and the macro tubes for close up work (the 4/120 macro is almost too heavy for the HTS, and sometimes you want another perspective anyway). Hasselblad HCD 4.8/24 (9.5/10) – One of the best wides I’ve ever used – the MTF charts are effectively flat at f8, and this holds true in practice. No visible CA or corner smearing/ astigmatism. Perhaps the only criticisms are that it’s got a slow aperture that gets even slower with the HTS, plus it doesn’t quite cover the full 54x40mm 645 area, but with optics this good, I don’t mind. Still smaller than the 28 Otus. Hasselblad HCD 4/28 (9/10) – Similar comments to the 24mm; I personally prefer the rendering of this lens, but it isn’t quite as strong in the corners. Just about fast enough for documentary work – that extra half stop makes quite a bit of difference, and perhaps more so in transmission. Different enough in rendering and usability that I have both 24 and 28mm lenses. Hasselblad HC 3.5/35 (7.5/10) – Personally, I didn’t find this one as strong as the 28 or 50 wide open – especially towards the edges until being stopped down a little. As with everything 35, I found myself wanting something longer or wider anyway, so this one didn’t get much use. Hasselblad HC 3.5/50 I (7.5/10) – This lens feels and performs similarly to the 3.5/35; it’s probably of the same generation optically. Decent in the centre wide open, but improves on stopping down and eventually comes close to the newer lens across the frame by f8-f11 or so. The new one is so much better, I’d just skip this one though – something in the microcontrast just makes it pop more. Hasselblad HC 2.8/80 (7/10) – I’ve used several copies of this lens on multiple occasions, and I honestly don’t like it. It’s acceptable wide open – but has a sort of hazy glow that I associate with the X100’s lens at maximum aperture; similar to the 2.2/100, actually. Microcontrast is missing til another stop down or so, and if you’re going to shoot at f4, the 2.2/100 leaves this in the dust. It’s the medium format equivalent of the 50/1.4s and 50/1.8s for DSLRs – your standard fast, small prime, the cheapest lens in the lineup, but somehow also the weakest – even though it’s optically very simple and should really have been perfected eons ago. I would honestly skip it unless you absolutely need the focal length. Hasselblad HC 2.2/100 (6/10 or 10/10, with caveats) – Think of this as an f2.6 or f2.8 lens, and you’re okay. When it focuses, results are spectacular even at these apertures. f4 and upwards is blistering, but performance seems to fall off after f8. F2.2 is best described as ‘portrait soft’, even with critical focus achieved. Quite a bit of longitudinal and lateral CA, but goes away on stopping down. The problem is focus isn’t consistently achieved – I suspect it’s because the focus box covers a much larger area and range of subject distances than the actual focal plane. In any case, precision of autofocus seems to be the one thing holding this lens back from greatness (at least in my opinion). Hasselblad HC 3.2/150 N, latest 1/2000s version (9.5/10) – This is one more of those bits of glass that doesn’t have much of a reputation either way, but is a quiet star in its own right – I shot with it extensively under a huge range of conditions over the last couple of weeks and have been supremely impressed with it every time. Performance exceeds that of my beloved 4/150 CF, and it exhibits significantly less longitudinal chromatic aberration at wider apertures (and almost none laterally). It focuses much faster than the 100mm + 1.7x combination, and indeed much faster than the naked 100mm itself. It has made its way into my personal arsenal. « ShootSIN forum this weekend, 29-30 April! I realize you sold all your H gear but may be you can still help me out. I find my HCD 35-90 a bit soft in the corners at 50 mm (on my H6D-100) and was thinking about getting the HC 50mm II. I have the opportunity to get a mint (inexpensive) copy of a Zeiss Hasselblad CF 4/50 FLE. I almost exclusively shoot landscapes (usually f8 or higher), don’t care about autofocus and already have the CF adapter. Do you think the CF 4/50 FLE could be a good alternative, or do you expect the HC 50mm II to be superior for my purpose. I have both. The HC 50 II is quite a lot better. And the 35-90 may have some sample variation – I’ve used older copies that weren’t as sharp – so it might be worth having it checked out. I know the internal cams are quite sensitive to drops or bumps, so it’s possible some misalignment happened at some point in its life. Curious about the mention: “Hasselblad HC 3.2/150 N, latest 1/2000s version”, is the older “Hasselblad HC 3.2/150 N, 1/800 version” optically not as good? It’s identical – but the shutter goes to 1/2000s on the new one. Hello Ming, I have H3D 39 with some HC lenses and also a couple of V series lenses 120mm and 135 with auto bellows and variable extension tube. My question is If I buy PC Mutar 1.4 , will it work on H3D 39? I have CF adapter. Thanks. I honestly have no idea. My guess is no because you need to have a synchronized mechanical connection between the lens shutter and the camera. This is normally provided by the CF adaptor, but the Mutar interrupts this and usually requires a separate cable. (1) I am considering the purchase of the Hasselblad Tilt/Shift Adaptor (HTS 1.5) and I understand that it is only compatible with certain prime lenses. What I am unsure about is why it wouldn’t work with zoom lenses such as the 35-90 mm ? I cannot see any optical reason, is there a physical problem (e.g lens is physically to large, rear element protrudes too much etc)? (2) I am torn whether to get the HCD 24 or 28 mm. For the 100 MP back the 24 is really too wide for most applications (I rarely use more than 20 mm in 35 mm speak) but then in combination with the HTS the 28 is not that wide anymore. I also have the 35-90 zoom already. Thanks for your input! 1) As you say: size/weight and rear element interference with the multiplier in the HTS. 2) I have the 24 and 28 and almost never use the 28. Either the 24 and HTS, or if I have no time to set up (or can’t use a tripod) then the 24, camera level, and compose for square and accept ‘only’ 60MP. Wonderful review of the lenses. What’s your opinion on 120mm V series lens with the CF adapter vs the HC 80/100mm + 26mm extension tube (or the macro convertor) on the H5D CCD version? Have you ever tried any of these combinations? What would you recommend? This is with regard to close up portraits, not necessarily macro work. Thanks – honestly can’t say I’ve tried any of those combinations, but I would expect the dedicated V macro to be better than a non-macro + tube since it was designed for clues up work to begin with. Honest answer is it depends how low – I can manage fine with exposures that require down to about 10s f8 ISO64 or so on the H6-100. I haven’t tried lower than that. LV is grainy but usable; better on the -100 than the -50 (newer sensor). Many thanks for taking the time to provide great feedback. Much appreciated. I keep wondering, how the HC 100 mm would compare used on a X1D via the adapter versus the X1D ‘native’ 90 mm. Any thoughts? Well, f2.2 vs f3.2 and slightly longer FL; there’s a bit shallower DOF but the 100 is a much older lens, with older optics, and it shows. Transitions and separation are actually perceptually a bit better on the 90 since there’s less CA both longitudinally and laterally, and higher resolving power. Thanks Ming. Very helpful. AF should be better too. Hello Ming, Thank you for this wonderfull post. There are not many places where we can get honest Hasselblad lenses reviews. I have the H6D-100c with the 100mm lens. Everything you said about this lens is correct. I also have the 1.7x teleconverter and so far I´m not impressed. I would like to get a wide angle lens, either the HCD 4.8/24mm or the HCD 4/28mm, my concern is that this lenses are design for the 50MP (43.8 x 32.9mm) sensor, mine is 100MP (53.4 X 40.0mm) sensor. The HCD 4.8/24 had already vignette and edge issues on the 50MP (43.8 X 32.9mm). Looking at the MTF charts at f8 The Sagittal & Tangential lines on the HCD 4.8/24 are close together, until around 27mm image height then the MTF% drops more than on the HCD 4/28. The spatial frequency 40 lp7mm drops less on the HCD4/28mm but the Sagittal and Tangential are wider apart. Obviously, this affect the edges, the center seems great for both lenses. Witch lens would you recommend for the 100MP (53.4 X 40.0mm)? For night photography it will be with tripod. I also like with a tripod long shutter speed with an ND filter. Thanks Omar. 24mm on 44×33 is about 19mm-e; 30mm is about 22-23mm. It’s not quite so precise because of the difference in aspect ratio, and MF lenses tend to render a bit flatter projection-wise than their 35mm counterparts which makes them seem a bit less wide. I’d personally say 22mm is too wide – 16-17mm-e or so but I generally don’t need much more than 28-e myself. Thanks for your thoughts, Ming. Really appreciate it. I think I will hold out for the 30mm and see how it goes with this lens, as you suggested; I’m on the waiting list anyway. Best of luck! For a blogpost you originally thought would be for a “very small audience,” it seems that the comment thread has taken on a life of its own. Having now fully made the transition from the Pentax 645Z to the Hasselblad H5D-50C, a clearer and deeper understanding of the two very different design and user cultures of these two companies has emerged. I wonder if my transition has any common ground with yours? Here are my initial observations, for whatever they’re worth. 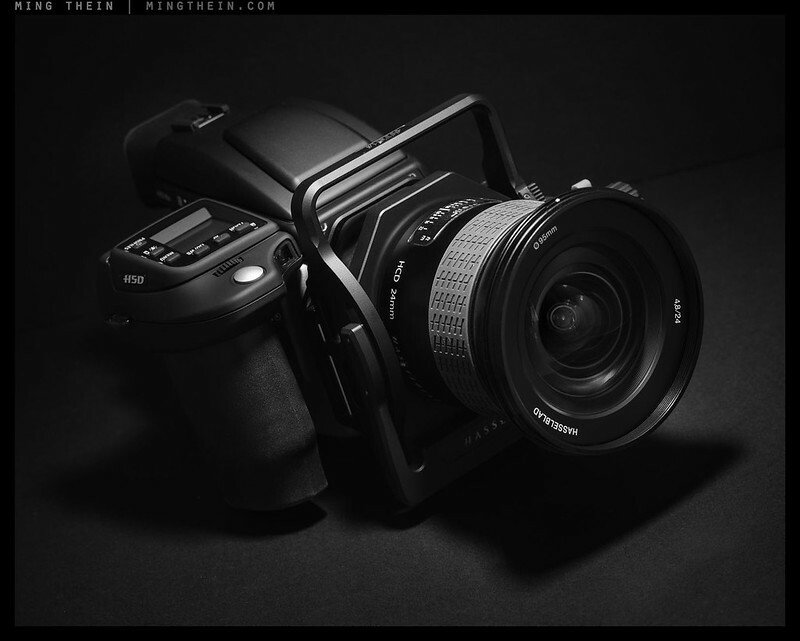 In many ways, (although it’s more advanced that the Mamiya-based Phase One), the H5D is an MF throwback. That is to say, it is an anachronism. I don’t mean this necessarily as criticism, just as an observation. The Hassy feature set does create a little photographer’s angst and culture shock, however. Many features we simply take for granted with modern digital cameras, such as auto ISO and auto white balance are not available on the Hassy. Even with the remarkable True Focus, its auto-focus system is archaic. System settings, such as (among everything) permanently shutting off the beeps and bells that provide audible feedback for who knows what purpose, mysteriously default back to their endlessly annoying factory settings each time the camera is powered off and then back on again. All of these things can be “worked around” by setting up your own user “profiles,” which, to Hasselblad’s credit, is a relatively easy task via Phocus software. I could go on, but I’ve made the point. The feature set and user-interface area of design is Hasselblad’s greatest shortcoming, and conversely its greatest opportunity for improvement. Even Leica’s M, itself an homage to an earlier age, is for more user-feature advanced than is the H5D. Perhaps many of these issues are addressed in the H6D. The Pentax, by way of contrast, is modern marvel in the feature department. It functions much like a Canon or Nikon DSLR, and has all the features you’d expect in a modern camera. Enough said—the Pentax doesn’t ask you to give up the feature sets to which you’ve not only become accustomed, but on which most photographers rely. Ergonomically, however, the Hasselblad is a masterpiece. Access to the features (those it actually has) is easy and intuitive, and has already become second nature for me—part of my shooting memory-muscle. Also, the build quality and, perhaps as a direct result of its superior materials and execution, the Hasselblad’s tactile user interface is orders of magnitude better. On this front, the two cameras belong to two different classes, with the Hassy several levels up the pride-of-ownership hierarchy. The dynamic range of the two systems is extremely similar. Not terrible surprising since they use the identical sensor. I probably have not done enough shooting with the Hassy yet, but I remain unconvinced of the Hasselblad’s advantage in the transitions of to the highlights. I spoke (via email) with Lloyd Chambers about this, and he also does not notice this aspect of the Pentax rendering—although, to be fair, he has no experience with the Hasselblad by way of comparison. Time may reveal to me what you’re observing here. Certainly Hasselblad’s overall tonality is SOTA from my experience. The color accuracy and depth, however, are much better with the Hasselblad. Not only do the H5D files exhibit extremely fine color temperature accuracy, the files are much easier to color correct when they are slightly off. I do miss the multiple camera profiles available for the Pentax (and routinely available for all major cameras bodies), some of which were aftermarket authored by Huelight. But it may fair to say the with the Hasselblad, multiple profiles are not intrinsically advantageous. As for as lenses: the Mark II 50 is an absolute gem, as you’ve reported. As are, to a slightly lesser extent, the 28 and the 150. The jury is still out with the 100—but it is a very different optic in terms of personality when compared with the Pentax 90MM F/2.8 Macro. The Pentax is a masterpiece, with a personality that runs closer to the Otus than does the portrait-driven Hasselblad 100. And, I miss the wonderful Pentax 35MM terribly. Unlike you, this is a focal length I like to use, being truly wide-angle at about 27MM, and in a more flexible and usable range than is the ultra-wide Hasselblad 28MM. (I need the 28 for the HTS, and it’s so great, that I’m finding ways to use it in my shooting.) BTW, I notice the 28 was missing I’m thinking about picking up a used Hasselblad 35 to try, perhaps from their CPO program. It’s well liked out there, but I’ve been a little hesitant given your lukewarm reaction to it. On that topic: Do you have any experience with Hassy’s CPO program? Thanks, Ming, for taking on this rarefied area of the market. I truly hope it brings you added readers as you are, as far as I can tell, unique in your commitment to medium format. You can add this to the huge value you provide to your readers. Well the jury is still out on features from what I read and understood in the comments from Hasselblad management. It was a broken company that has been rescued and revised by launching a new idea for medium format do to a new UI, but as we see at its release there remains only beta firmware the camera is still crippled in some areas. Also the H6D-50c & H6D-100c has been release conceptually with lots of promises of firmware updates. It’s now up to Hasselblad to break tradition and really preform when it comes to their small audience of potential buyers with ground breaking firmware, those little things can make or break the sale of a system. Ginormous companies get it right by announcing a closely held secret product and then delivery is one week away. You are also show when the product is released the firmware goodies that make you say to yourself I can’t live without that so I’m upgrading to the new BLA BLA! In my opinion any firmware goodie that helps you nail the image reducing trial and error shooting is a priority, manufacturing a great camera like a Linhof without today’s desired wants, bells and whistles or for Linhoff engaged markings instead of printed stickers is a recipe for distinction. I’m 90% convinced this go around Hasselblad will get it right, I would be more convinced if by the end of August we saw firmware releases for the three newest cameras and a lens roadmap I sure that would open the flood gates! Agree with your assessment of features and ergonomics – what I find remarkable is that they managed not to succumb to putting in distractions that add complexity to normal use, but only come into their own in very infrequent situations. I don’t really miss anything my Nikons or Pentax had in the H5. Sure, the UI and screen could certainly be more modern, but it really gets the job done – much the same as older cars with clear analog instruments instead of the modern LCD panels. Dynamic range is the same. You sacrifice some shadow recovery in the Hasselblad for the highlight extension – I gladly make this tradeoff because it’s the hardest part of tonality to get right. You need to really ETTR to the very edge to see the difference; it’s much like the D800 and D810 – you cannot shoot them the same way to see the full advantage of the Hassy/810 vs Pentax/800. A world of difference in color, though. I suspect this may be something to do with the 16 bit pipe. The 100 comes into its own at f4, and you get the same rendering as the others. I think of it as a f4 with f2.2 emergency speed. I think I just don’t like the 35mm rendering in any format – but the lens itself is a bit weaker than the 50, 28 and 150. The new 150 is really superb. Sorry, no experience with CPO but I don’t see why it shouldn’t be worth investigating. I’ll experiment more with ETTR. I do this routinely in the studio, but am less studious and consistent out in the field. I should say I like the 100MM. And you’re right that it does come into its own even as early as F/2.8, certainly by F/4. I like it’s overall drawing style. As I reread what wrote, I see that “the jury is still out” is a little more (unintentionally) provocative than my actual observations. What meant to say is the 100mm is an interesting contrast in terms of rendering style with the Pentax 90 (Otus like) and the Hassy 100 (great bokeh and tonality). Ultimately, it may be true I prefer the Hassy 100—it’s overall drawing style is pretty compelling when focus is nailed. I absolutely love the 50 Mark II. I should also say that the stellar Hassy 150 smokes the very good Pentax, which is long in tooth. I’m disappointed that the 35 is not as strong as these other three lenses (which are very strong indeed). But my hope and sense is that it is still relatively strong. And… I’d happily trade the an excellent Pentax 35 for the Hassy 50, 100, and 150. When asking about the CPO, I had forgotten that I myself purchased my H5D from this program. It was rated “1” (the top rating), had less than 250 actuations, and was indistinguishable from new. The 35 I’m looking at is the 1/800 leaf shutter version, and is rated “3.” So far more use than the camera body I purchased. If you’d like, I let you know how it goes. I see that I also did not make very clear one of my questions. I don’t see the 28MM on your current equipment list. Did you not keep it? J. not provocative maybe some parts in tone but meant to be unoffensive just stating the facts, Just like you with the lenses try tilting the 50ii up a bit and shoot into the sun “I love the 50mm” but not in that position. For what its worth the 28mm is the bomb. The 35 is one of the earliest designs, along with the 100 – the impression I get is these two have a similar ‘look’, which is different to the later 50 II, 150 etc. The 28mm is a loan from a different source – I should update the list to make that clearer. I still have it, but it sees little use simply because the 24mm pairs better with the 35-90. They do give shutter counts on the lenses. Picked up the CPO 35 today. It had 4500 actuations. Looks great. So, my current rig consists of the H5D-50c, and the 28, 35, 50, 100, and 150 lenses. Happy. The original owner of my H5D purchased it just prior to the H6D announcement. He promptly traded it in for a the 100mp version of the H6D. I got lucky. I’m about to head to Jackson Hole, Wyoming. Where I plan to run the Hassy system through its paces. After I return, I have a studio shoot for a new product release…. That’s pretty low, given the older lenses go for hundreds of thousands of actuations, and the newer ones are supposedly good for a million…very flexible lineup though! Enjoy. With exception of the 35, the rest of my lenses were purchased new, and are the latest versions. I was hedging my bet with CPO on the 35. Using the EVF in the H1D vs using the VF with the H6D is the EVF 80% comparable or is it less? Do the under exposed files of the H1D have the same shadow recovery, better or worse? Have you used the H1D to shoot into the sun? What can you comment on the recovery of the highlights? Can you offer any comment as to the H1D completely replacing the H6D in you bag, and for what type of shooting and what are your initial feelings about its shortcomings. There has been some discussions regarding firmware items missing from the H6D yet to be released, have you found yourself crippled without those in any specific situations? Have you had a chance to use the autobracking in either camera if so are you completely happy with the way it works, particularly using IOS to trigger the sequence instead of a wired solution? Lastly did Hasselblad send you the adapter to use HCD lenses? I don’t know how you’d judge ‘80%’ – or any percentage. They’re just fundamentally different: EVFs will show magnification, shooting info, true exposure etc. which OVFs will not, but OVFs will not ruin your night vision and show much subtler nuances in color and tone. It’s much down to personal preference. All I can say is that I’m used to the EVF of cameras like the Leica Q, and this compares just fine. H5/6/X1D files are effectively identical in quality and latitude. If you get exposure right, there’s so much dynamic range that bracketing is almost never required. The only things that are missing for me for the H6 vs H5 are contrast adjustment for the screen (to more accurately represent exposure), some button configurability, and the blinking highlight warning in playback. I see the X1D being added as a backup/second body instead of carrying two H bodies. X1D sorry I’ve been burning the midnight oil working on a deadline. I too am used to EVF but I still prefer the big real view of the OVF, never shot a Leica Q but have shot OLY and FUJI both have some EVF issues, if you will liken it to a cap on your tooth at first you can’t stop feeling it with your tongue eventually (at my age anyway) you soon forget which tooth has a cap! “H5/6/X1D effectively identical”, obviously your referring to the H5D-50c (I’m still running the 50, so you saying the newer camera platform has no improvement with regards to how the sensor outputs the files would that also be with regards to noise in your opinion? The blinking highlights missing is a big deal! I’m glad you shared that with me there are still many firmware update items that I’ve been on standby waiting for the mother ship to release. It seems new projects are started before the old ones are completed. Capturing landscape or portrait shooting situations those blinkies come in handy helping to very quickly achieve desired exposure. Personally I used to not bracket that much but I find with stationary product shots and some of my landscape work it’s now invaluable. Not only time saving in PP but enabling certain images to be recorded accurately that were not possible before. I shouldn’t say not possible, Yes with film we used to make the same moves but it was 24-48 hours even longer before we knew if we nailed it now it’s just seconds. I guess no adapter was sent with the X1D! I have the 100 on order but if it won’t include leveling and blinkies I might just have to rethink its bad enough they won’t give me intergrated step focusing….no contrast adjustment is head scratcher. As always thanks for your quick response and candid comments. Firmware on the X1D is not final, but as it stands now it’s the same. I’m told it will improve. I assume you have seen this post with full size samples for you to assess yourself. X1 and H6 share the same platform and underlying electronics, so they have both the same restrictions and capabilities at this point. I’m told levelling and blinkies are in the works. Nope, adaptors were not ready. I do not have access to one yet. No auto ISO on the H5D? I purchased the 28, 50, 100, 150 with the system. The 24 & 120 will come later. there’s a hole between the 28 and the 100 not adequately filled by the 50. I’d love have the 35 & the 80 too, but I’m not convinced of their retaliative merit. Thoughts? Thanks for taking the time to answer all my questions. Congratulations! I personally like the 50 (assume mark II) very much, and don’t really miss the hole. That said, I currently have 24, 50, 100, 150 and 35-90. The 35-90 fills the hole, no? Yes it does, but I could go either way – either the 35-90 alone, or the 28-50-100 set (if working in lower light). I should say I like the 50 very much, as well. Hi Ming,I want to ask your rating between HASSELBLAD Hasselblad HC and Planar 100f2.2 110f2 ? They’re actually pretty similar in performance – okayish wide open, tough to focus accurately, but outstanding stopped down. Hi recently i did some work using 120 CF macro with cf to h lens adapter on h3d31ii and 60 mp bodies and it performs really great, the only magnification is limiting factor even with extension tubes, while new one goes 1:1 out the box. Yes, that lens is much better at short distances than infinity – it’s optimised for it. I continue to obsess about a move from the Pentax 645Z to the H5D 50C. (You’re are to blame for this, my friend.) I’m thinking of picking up a low mileage Certified Preowned body from Hasselblad. 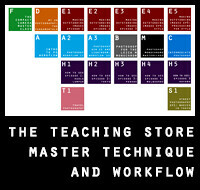 How have you found studio workflow with the Hassy? With the Pentax, it is simple and easy to access functions such as Liveview and then zoom in to check focus, etc. My concern is the what was once a simple push of the button on the Pentax will become a multi-step, menu-driven frustration. Some of these issues would translate into field shooting, too. I often check focus with Liveview with the Pentax (a habit I started with the D800). I infer from your various articles that Hassy’s haptics (related to but not precisely ergonomics) are a strength of the Hassy. Maybe you even explicitly said it. And the higher build quality goes without saying. But what about ease of use? When I’m sitting on a snowy creek bed shooting a landscape, or when I’m burning time in the studio—intuitive operation and relative ease of use truly come into play. In all seriousness, you may want to check out the full size files in this post to see if you like the look – those required very little work to achieve. (Files are about halfway down, thumbnail strip.) I didn’t think there would be a difference, but having shot ~10k frames with the Pentax and now somewhere around 20k between the H5, H6 and CFV (all same sensor) – I’m convinced there’s something in the highlights and color response. Studio workflow: assign LV to one of the four shortcut buttons, then press it. Press magnify once to bring up the target cursor, move it around, press again to go to 100%. In practice it’s very fast, and the viewfinder is somewhat better than the Pentax so you might not even need it. You may also find that the X1D is actually a better studio camera because LV on the H6 generation and its derivatives (X1D included) is significantly smoother/ crisper/ faster thanks to double taps etc. than the H5. That review link above with the samples contains more thoughts on practical operation, too. I’ve shot it under a wide variety of conditions and honestly find the operation pretty intuitive. There are few buttons, some clever shortcuts I’m only now discovering (double tap shutter button quickly to bring up menu, use scroll wheels to navigate, tap shutter again to confirm selection and exit to shooting ready – so you can use the entire menu system with your right hand and not shift grip, for instance). There are no strange operational quirks that you have to work around; you can customise it to how you want it – and then save it as a profile to recall later, for up to 10 sets of settings. I honestly find msyelf hesitating sometimes with the H6 because I have to relearn what’s been moved from buttons to the touch shortcuts etc. I think this will improve with time, but the H5 was and remains usable with one eye closed. I might add that I’ve used tethered shooting with canon and Hasselblad and there is no comparison Phocus is superior enabling the micro focus in live view is incredible on the H5D they tell me on the H6D it’s improved. Having just watched Peter Coulson’s video he comments that no other camera is as fast showing full raw captured files on screen then Hasselblad tethered. They’re the same, except where equivalents do not exist like the 35-90 and V2s etc. Excellent review. I can agree with your assessment of all of them, except one. My 100mm is pretty good too, but not to the same extend as the 50mm II and the 210mm. Are you planning to do a similar assessment of the Leica S lenses? That would be useful also. Thanks again. Understand. And the new X1D cooled a lot my appetite for the Leica S. I cannot have a better travel camera, next to my H4D40. I found the S is not much lighter in practice than the H, and the H balances better because of grip shape and position despite the higher weight. The 35-90 is probably about the limit for the H, but Leica’s own 30-90 feels very imbalanced and uncomfortable on the S – it just wants to torque out of your hand and your last two fingers get tired countering the rotation of the grip. I just wish Hassy’s 35 was better. It will be a little hard to give up the wonderful new Pentax 35. The biggest reason for me to go to Hassy is the HTS. The 35 HTS combo would be the perfect replacement for my old Nikon 45 PC, which was TS I used most for my environmental and architectural work. Well, I may be making the move from the Pentax 645Z, too. Couple of quick questions. Aside from the 1/2000 capability, are there any optical improvements with the new crop of lenses vs. the old. I see that Hassy, for example, has a 50MM II & and the new version that has the 1/2000 on B&H, and the price difference is around $1800. I’m not sure I need the faster shutter speed capability for my MF rig, and it will be a period of time if/when I move to the H6D. Any experience with the 120MM Macro? I really enjoy the variety of lenses you have covered in one place here, I have been searching for reviews of H lenses all over the place and good reviews are far and few… Are you able to shed some light on how HCD lenses, specifically the 28mm, cover/vignette on larger sensors such as the H4/5D-60 or the new 100c? Thanks! It should be mathematics but as I see the 28mm lens is optimal foe a 48*36 sensor according to Hasselblad which says the 28mm lens covers “X” angle of view for a 37×49 format that would leave a small margin remaining for either crop factor of the 100MP back (I think Hasselblad said almost full frame) or some software manipulation by Phocus? They say a small automatic crop is applied in Phocus (not ACR) to 49×37 or thereabouts, which is something like a 1.1x factor. Beyond that, the corners vignette, I’m told. Yep I believe you, and it’s a matter of correcting it in POST, what a new sensor in the same package attached to a body with minor modifications using the same lens assets and some software tweeks gives you is a new platform without complete retooling and engineering. I should also say I ordered one. My concerns are more about the claimed 15 stops of DR and how far I can push the sensor, slam it to the wall hard and then recover it. I’ve had few situations where the 50MP sensor had insufficient dynamic range – probably countable on the fingers of one hand – and the 100MP is supposed to be next generation architecture, so one only imagines it must be better. I just hope the pixel acuity/integrity remains at the same level though; photo sites are fairly similar in pitch so it should be okay. Gotta watch for diffraction, though. Do you think the H6D 100 will be better for macro jewelry shots with respect to better highlights and better resolution since with the H5d-50 I’m backing off and only filling Appx 1/3 the frame with the diamond ring shooting Appx 26 stacked images brings in two problems. 1. Stacking the highlights seem to vary from image to image because strobes fire and the lens moves creating a very slightly different refraction in the depth of each group of say 5-7 shots. 2. By only using a partial amount of the frame resolution drops and doesn’t permit extreme blow ups because of pixelation so would the 100 MP in your opinion be better or worse based on the pixels being smaller and technically not yielding as much DOF but yielding much more resolution? Hmm, hard to say. I think for all-in-focus small product photography, larger sensors may not necessarily be better because of the tradeoff between depth of field and magnification. You may be able to get away with using extension tubes, the HTS and a smaller stack though. With what lens are u thinking to combine with the HTS ? Probably the 80 or 100 and extension tubes; the 120 is too heavy. Against the CCD cameras, yes. Against CMOS, no providing you exposure and PP properly. Not shot any highly reflective stuff with either camera yet. Ok thanks got the message and I think the new CMOS Hasselblad might just deliver a slightly better DR but I completely understand the Pixel Pitch vs MP thing and I guess I have to judge for myself. Thanks for you input and quick response, its appreciated…keep up the good efforts with your photography! Hi Ming, interesting reading considering I just finished demoing a H5D-50c/100 2.2 combo. I suppose there could be sample variation, but I don’t agree with your assessment that the 100 is best between f4 and f8. I mostly shoot landscape and on a tripod, but I did do some handheld work with the H until my arm gave out. Anyway I shot an entire series from f8 to f32. With each stop down the dof improved and the sharpness stayed the same. I will state that f32 was pretty unusable. So when I did my long exposure images I mostly shot at f11 and f16 for shutter speeds of 4 and 6 minutes. Very happy with the results. In spite of very sharp images I’m still not convinced the H lenses are as good as an Otus. But I left several tests to be finished this weekend after I shoot the same scene with a Nikon. I could definitely see myself being won over by the H and converting from Nikon to H except I’m beginning to really dislike Sony color. I did not shoot a color checker for the H – didn’t have the time, but even with a custom profile for my Nikon I still have to monkey around with the color and the same with the H. Yes, the color is much better than the Nikon and there is that MF “look” which blows away any 35mm. But I found myself winding down the green channel as much as 20-30% and increasing the blue 20% to get acceptable results (for me). I am enjoying your blog a little more (not that I haven’t liked it in the past!) since you made the switch and seeing the results. I do hope you get H6D so we can all hear about the improvements. You’re not going to get the same look as an Otus – what does? – but some of the lenses are really quite excellent. I generally shoot stopped down anyway most of the time, so the extra aperture speed is moot. Are you sure about the color though? It may be your raw converter, but I found myself doing almost zero correction on the H – but huge amounts on the Sony and somewhat less but still quite a bit on the Nikon. Hi Ming, I spent yesterday going over my reference shots and I’m afraid I jumped in a little too soon with my assessment. I agree completely with your statement about diffraction over f16. I shot a four minute exposure at f22 and after printing – tore it up and threw it in the trash. About the color – I ended up adjusting the WB (it was cloudy with occasional light, basically gloomy) and it was much better. I still had to tone down the greens a bit. I wish I had shot a Color Checker but I didn’t take the time. On some beach shots I had red-tinted images out of the camera. The tint had gone to +89 which I adjusted down to +20 to bring into line. It only happened on a string of about eight shots. And I did have some misses where the camera failed to get a shot – completely black frames. But in defense of the camera I was shooting off-tripod action and moving around and I know that is not it’s forte. Surprisingly I did manage several decent action shots. I had fun and everything that’s new is a learning process so it’s all good, right? “I know this post is probably for a very small audience, but why not read on and live vicariously…” – the motto of about every camera or lens review I read anyway! Thank you for the run down. I hope to just SEE someone using equipment like this some day, and hopefully that person will be nice and let me ask silly questions about their exotic gear. I’m enjoying your recent photos with this gear too, even with the limitations of screens. With lenses these good, how is the V System and/or Otuses used in your arsenal? That’s a very good question: V system when I want a different shooting experience. Otuses when I need speed/very shallow DOF. Not for some time – baby in the apartment and no extra sink for chemical/ developing. On my 503CW, my 100 f/3.5 appeared to be superior to my 80 f/2.8, and my 180 f/4 likewise to my 150 f/4. This is based on evaluation of transparencies on my Leitz stereo microscope (I was a research biologist). Is this not applicable to the digital backs? I ask as I’m considering the purchase of a back. I can’t see any reason why the same wouldn’t be true. I didn’t find any difference between the 180 and 150 other than wide open (the 180 has a little less CA) – but I went with the 150 for reasons of size and weight, and I preferred to have something a bit longer than 180 at the far end anyway. The 80 has always felt okay but was never superb for me. Very interesting review of rarely seen gear. Do you have any insights whether any of these lenses might, with slight modification and different mounts, become part of the long rumored Fuji medium format system? Are you still thinking about the 35-90? Will the new 1/2000 work on H5? No, those go to 1/1000. There are modifications to the body that are only in the H6. I didn’t clearly understand what function of the HTS 1.5 is. Is it a crop factor converter? The 1.5 teleconverter is necessary to expand the image circle large enough to offer tilt and shift – the tilt and shift part is the really brilliant bit because it turns pretty much everything under 120mm into a TS lens. Sounds fantastic, knowing that any piece of glass however sofisticated, inserted behind original lens, must result in some deteriorations, especially if not designed with specific lens in mind. Does Hasselblad perform some kind of software compensation for each of HTS 1.5 and lens combination? Yes, and most of the wides were designed in conjunction with the HTS to maintain performance. I expected you to mention one of the 4/40mm variants in the list of V-series lenses to consider for use with the CF-H adapter on a H-body – Any particular reason for this omission? Thanks for the reviews! Do you find the slower apertures on medium format lenses limiting in any way in what you do, especially when compared to the excellent wide-open performance at f/1.4 available from the Otuses in 35mm?